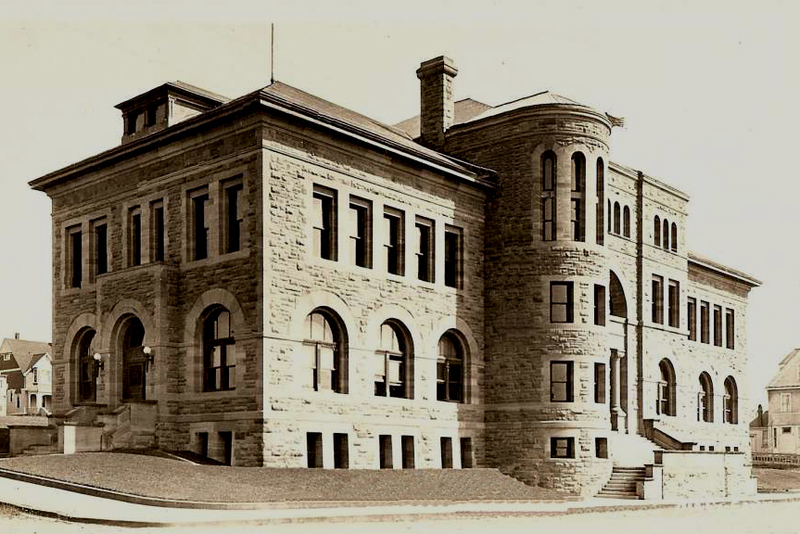 The post office in Port Townsend, Washington, was built to serve a community of 6,500. However a depression in 1893 shrank the population to 2,000 before the Romanesque building was completed. At least the staff had lots of room. 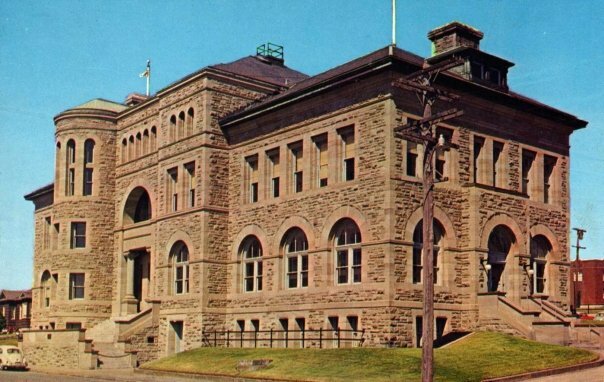 The building sat on a bluff overlooking the Straits of Juan de Fuca, dominating its surroundings. The image above from the 1960s is dear to me as it has a VW beetle in the lower left-hand corner. The image below gives you a good idea of how this fortress looked when it was first built. 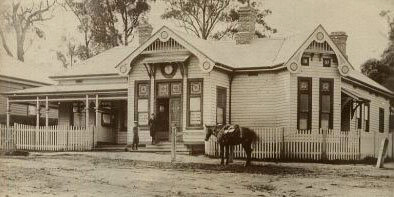 The Snowy River Post Office, in Orbost, Victoria, Australia, is both lovely on its own, and as a reminder of Ann Ealy’s favorite movie, “The Man from Snowy River” (1982). 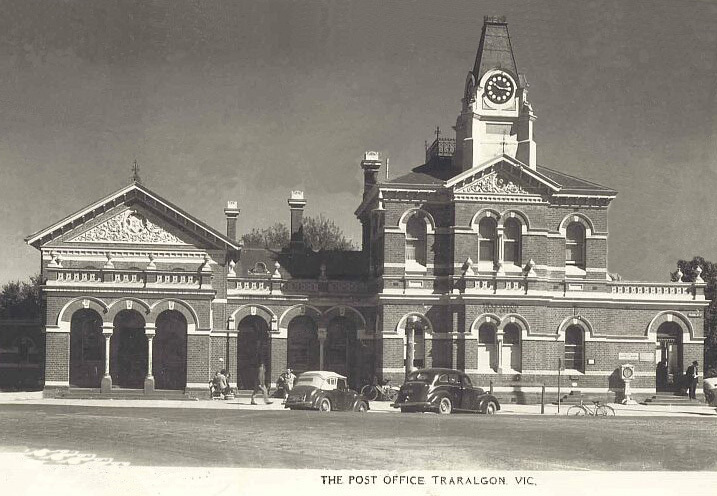 The post office in Traralgon, Victoria, Australia, has survived many brushes with development and death, but stands proud; one newspaper described it thusly: “Post office spared from technological martyrdom.” Built in 1886-1887, this whimsical beauty originally included upstairs living quarters for the postmistress, Mrs. Betty Starke, and access to the platform behind the clock tower “from which a great view of the town and surrounds could be obtained.” Good on you, Traralgon. 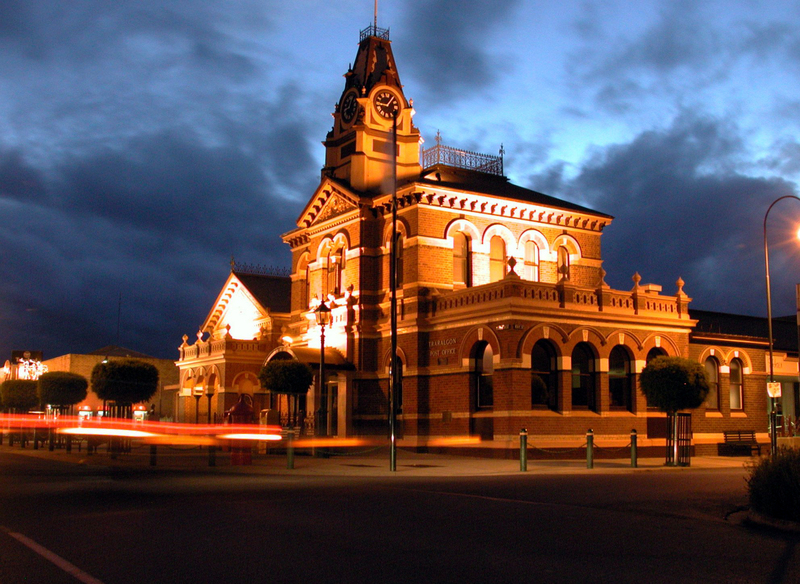 What could be more romantic than a moonlit stroll past the post office? The Central Post Office of Lima, Peru, was opened in 1897. At the beginning of the 20th century, Lima sought to shape itself in the image of Paris, hence the European style. Today, the Casa de Correos y Telegrafos is home to the Museo Postal y Filatélico, a museum of Peruvian postal history. 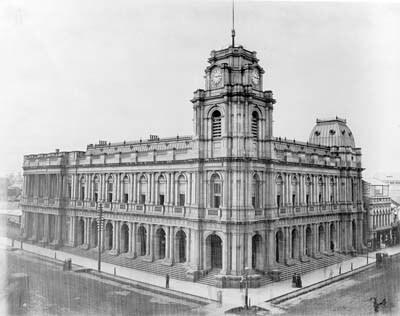 The General Post Office (GPO) in Melbourne, Victoria, Australia, was begun in 1859 and built to the design of one A.E. Johnson in the Renaissance Revival style. You’d think this would have been sufficient, but no. In 1885-1890, the building was expanded with a new third story, mansard roofs above that, and an even more commanding clock tower. In 2001, the Australia Post departed and the building now houses retail stores, but the landmark is still said to be considered the center of Melbourne, with all distances measured from the former GPO. 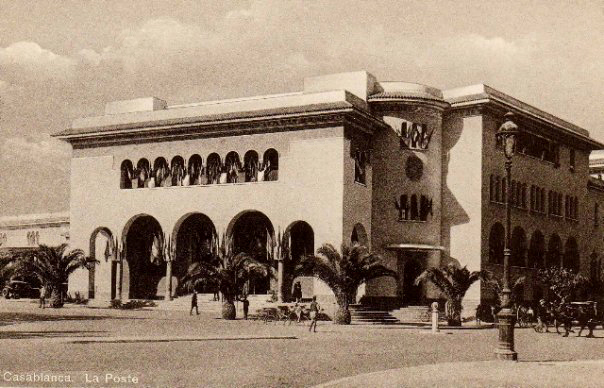 The post office in Casablanca. Which character in the film, do you suppose, picked up the mail for Rick’s Café Americain? 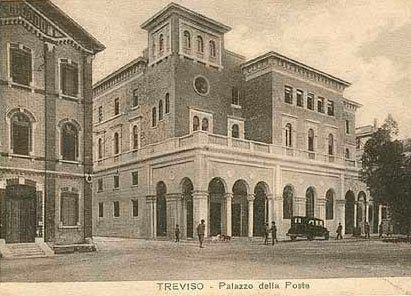 The Palazzo della Posta in Treviso, a city in northern Italy with many gems of Romanesque and Gothic architecture; photo taken in 1931. I’m loving the two dogs in front of the pillars, one black, one white, probably stopping to inquire at General Delivery.